Insert it into the cable until it clicks. Use the brush to apply the make-up. Press the button on the cable to remove the brush and try another one! 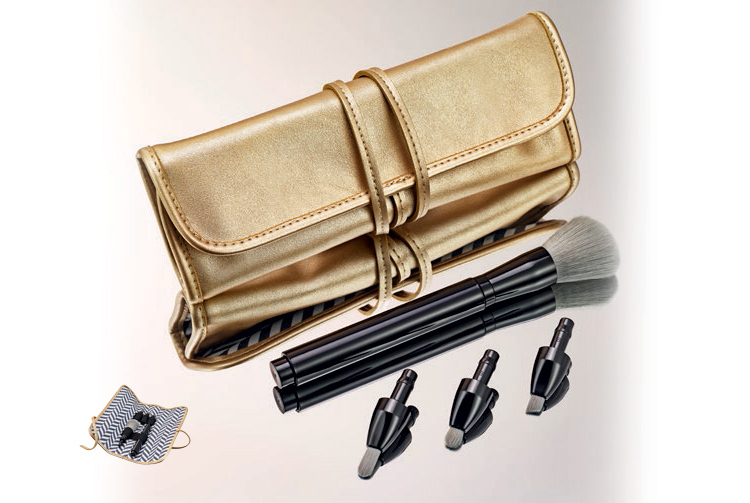 Kit of Brushes with golden purse in imitation of skin and lining with standard chevron in white and gray. Contains a black plastic cable, with different brushes, easy to use, to be able to change. Includes lip brush, eye shadow, eyebrows and powder. The brushes have soft bristles in light gray. 20 x 21cm.